The City of Unley have implemented the My Local Services App which delivers local information, kerbside waste collection reminders and provides a report it feature for citizens. A total of 22 Councils in South Australia have implemented the App as part of the Local Government Association’s early adopter program. Implementation of the My Local Services App is part of the City of Unley improving its customer service delivery on a mobile platform. Residents of City of Unley are encouraged to download the App. This concept was in the news again this week. But would the idea actually deliver lower rates, if it does can Councils maintain and improve their ratepayers amenity and what will be the long term results in the rates themselves. Will it save you money now and in the long run? While this may be a vote winning plan history will tell us that it doesn't work. State governments have continually pushed the things that they thought too trivial for their own domain into the Council area without any money to go with it. As an example they have already capped the amount that Councils can charge for dog registrations and planning applications. The costs of these services far outweigh to revenue received. Rate capping was limited to CPI after forced Council amalgamations in the 90's. This lasted for several years and then in a catch up later rates spiralled as Councils completed outstanding works, no savings were delivered and average rate rises were higher than ever before. This month's Agenda will finish off a little unfinished business that has been debated back and forth for a while, other items are just one more step toward a solution. Unley Oval Upgrade Plans; the gremlins seem to have got into this one. Despite many for decision meetings and a recent workshop I don't see the current motion as getting any closer to a solution. In fact the report asked for a debate on all aspects of the proposal in one motion when the workshop requested that each item should be debated separately! This means if any one item (of 8) is not liked by any one Councillor then all will be rejected. Unfortunately, I will be in this position as there are several aspects I don't like. Items to be debated include internal fencing, lighting, stand upgrades, increasing open space, funding sources and detailed design. Fortunately this was done as separate motions which then took well over 2 hours to debate. Meaning we were being asked to make important decisions too late in the evening especially on the confidential matters. All of these items passed individually, but many with modification. Brown Hill Creek Project Update; this report asked for consultation with land holders along the creek regarding easements to allow for clearing and upgrading the creek channel. To get some idea of the problem stand on the Malcolm St bridge and look both south and north. To the south the creek is full of feral vegetation, to the north development has been allowed, in my opinion, too close to the creek. The creek's current capacity is estimated to be about 10 cubic metres /sec when it should be 18 and needs to be 28 if it is to provide 1:100 flood protection. If this cannot be provided by the creek itself then we will still need a dam or/and culverts. Unley residents have already rejected culverts as a solution. This is a great step forward. PASSED unanimously. That Council submit the following Notice of Motion to the Local Government Association General Meeting to be held on the 11 April 2014. 2.1 That the LGA reaffirms its existing commitment to work toward a viable freight train bypass. The Coffee craze has well and truly hit the City of Unley and anticipation is brewing with the announcement of South Australia’s first ever coffee festival, Double Shot! Coffee Fiesta. The City will transform into a coffee lover’s paradise with the fiesta set to take place on Sunday March 16 at the Soldiers Memorial Gardens on Unley Road. The free event, which is also part of the 2014 Adelaide Fringe, is expected to attract thousands who will be encouraged to celebrate Adelaide’s thriving coffee culture. City of Unley Event Coordinator Carly Smith said the event was conceived from a meeting between the Council and Adelaide Fringe Director Greg Clarke. “We are extremely excited to be part of the 2014 Adelaide Fringe and the event will offer the very best coffee from around the world brewed by the very best baristas from local roasting companies and leading cafes around the area. Local roasters and baristas from a number of local cafes will host individual stands ensuring a huge range of coffee blends and a wealth of coffee knowledge. Bar 9, Di Bella Coffee, La Crema Coffee, By Blackbird and Carnevale are just a few who will be on hand to share their rich knowledge of coffee to revellers. International award winning barista Ian Callahan, who owns Bar 9 on Glen Osmond Road, said the Double Shot! 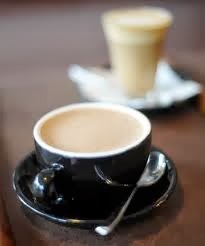 Unley Coffee Fiesta will be a great way to bring together coffee lovers in a beautiful community setting. The following is from today's Sunday Mail. So easy to spend $16.5 million for no one and yet we can't get a few dollars to improve the Goodwood Station underpass. Check the dodgy maths $130,000 a year for 13 years in my book is $1,690,000!! Obviously maths was not something Mr Koutsantonis excelled at when at school! Great comments from Cr Saies. IT’S Adelaide’s newest railway station replete with hi-tech security cameras, television screens and a twisting pedestrian bridge, but the one thing missing from the Wayville station are people. The $16.5 million Wayville station, opened on Monday, is just a stone’s throw from the existing Keswick station, which the State Government admits was seriously underused. Infrastructure Minister Tom Koutsantonis said it would be used by more than 1 million visitors each year to events at the Showgrounds and was saving $130,000 a year that was usually spent on a temporaiy platform for the Royal Adelaide Show. That means the station would pay for itself in 13 years, not taking into account maintenance work, but Unley councillor Michael Saies said it was a waste of money. Some commuters have agreed, writing on the Noarlunga Commuters Facebook group page that the station is "a waste of time" and "the only person standing at the station was a security guard". Cr Saies said it would have to be the most substantial station in Adelaide but would only be used by a large number of people for the Show and a handful of other major events. "Of course, it’s a nice station and looks really good, but I think the expenditure is over the top. It’s a station to nowhere 357 days of the year," Cr Saies said. "I just get sick of the spin that goes with these things. We were told by the department that it would be an absolute winner and used so much for functions at the Showground. "If people seriously want to use trains to get to the Showground, they would have got off at Keswick. Someone coming from Salisbuiy is not going to suddenly catch the train because they can get out right at the door when they wouldn't have previously because they’d have to get off at Keswick." Cr Saies said the money would have been better spend upgrading other stations on the line or used for other community infrastructure such as local spoils clubs. The new station is just 500m north of the existing Goodwood station, which is much closer to homes and businesses and the Unley swimming pool. The Transport Department website lists the benefits of the new station as being a visually appealing and safe station, better access to Ashford Hospital and businesses on Anzac Hwy both served by buses and improved visibility from the main roads. 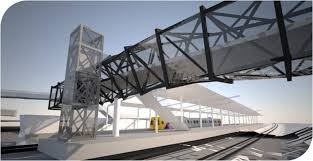 It features canopied platforms for both the Belair and the Seaford/Tonsley lines, a pedestrian footbridge over the rail lines and station platforms, bicycle parking rails and landscaping. 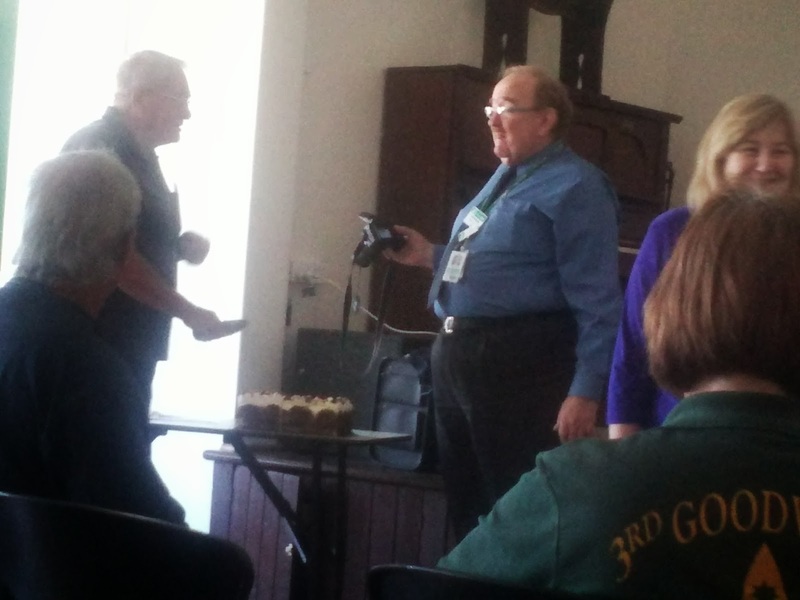 Mr Koutsantonis said it was a permanent, state-of-the-aft station that would service the more than 4500 people who live and work nearby as well as the more than 1 million visitors to the Showgrounds each year. 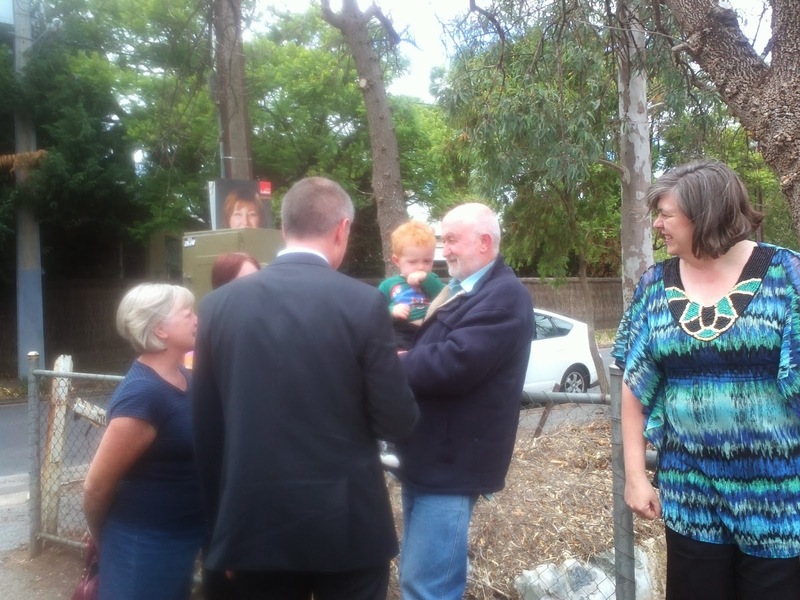 "Goodwood Rd is an extremely busy road and by encouraging people to take the train direct to the Showgrounds we can ease congestion and parking issues, particularly during major events," he said. "We are also saving $130,000 a year by no longer having to construct and dismantle a temporary platform for the Royal Adelaide Show." After many delays the final report for this will be debated by Council on Tuesday 11th March. While Don and I have asked for a full copy of the report it has been denied due to recent ICAC changes. We will not have access to the report until the 6th. At that time I will email the link to all of those for whom I have an email address in Black Forest. Don and I will host a coffee and chat at Carnivale on Saturday or Sunday afternoon (to be confirmed) to make ourselves available to hear your concerns. As the report remains largely unchanged from the draft that was consulted there should be no surprises. The recent consultation on Canterbury Tce, as part of the LATM, we have been given access to. The preferred option (48% of respondents and over 40% of residents responded) was for two way traffic and a dedicated bike/pedestrian path. This is the option with trees separating the path from traffic. The next option was for Option 3. 21% of respondents would have preferred to see on way traffic. Staff will now draw up a detailed design for further community input, this design will also address cyclist safety across East Ave. Residents in Forestville are becoming increasingly concerned and active in trying to get their changes in traffic patterns and volumes addressed. They believe these changes were as a direct result of the speed cushions being installed in Leah St and the removal of the speed humps in Everard Tce. It would seem that the Leah Street cushions have been very effective at reducing traffic speeds in Leah St. Once again some of the problems have occurred because only the residents of Leah St were asked if they wanted speed cushions and only residents in homes with a speed hump were asked if they wanted to retain them when Everard Tce was resurfaced. The result has been some stretches of Everard Tce having double their original traffic volumes (west bound am ), this traffic has transferred from First Ave. East bound and afternoon has seen little significant change. While traffic speed have dropped dramatically in Leah St they have risen alarmingly in Everard Tce. This area needs a full traffic assessment and solution that can only be achieved by a Local Area Traffic Management Plan. Hopefully, this will be the next area that Council choose to fund. Many shared pathways where cars and cyclists come together will be painted from next month with sharrows. These markings will appear on many streets, but only after residents in the selected streets have been told of the initiative. The sharrows serve as a reminder to both parties that the road way is shared and each should be mindful of the safety of the other. 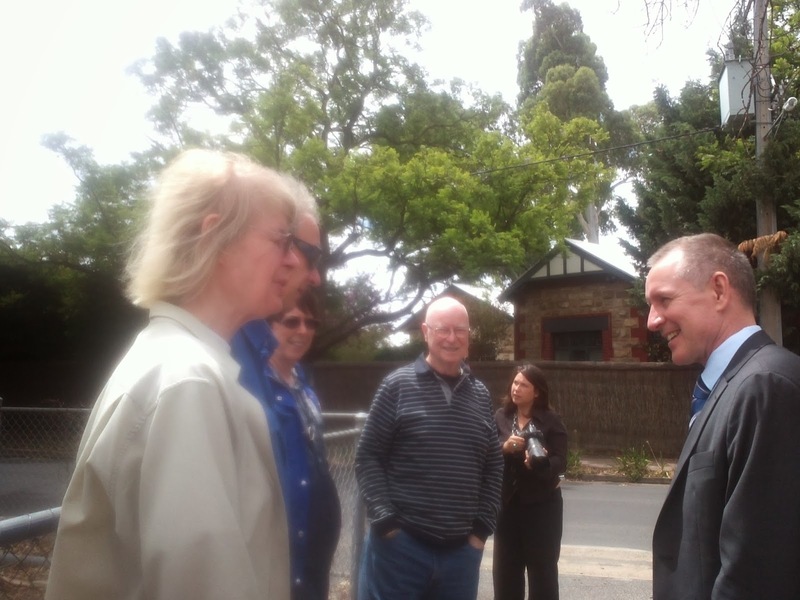 Yesterday afternoon Steph Key arranged for residents and the Reopen Millswood Station Group to meet the Premier, Jay Weaterill, at the station so he could personally thank people for their persistence and hard work. While the wheels have been set in motion for the trains to stop at Millswood from July (in a 12 month trial). Steph reiterated that the station was closed as approx 90 people were using the train each day at this location and that a trial would need to see much higher patronage for the service to be made permanent. or two extra into the city reduces or even has the potential to reduce congestion on Goodwood Rd is unfathomable. This one really needs more thinking. I attended an interesting meeting yesterday evening with a small group to discuss noise issues associated with the trains. While the traffic and pedestrian signals have been turned down at Victoria St, East Ave and Fairfax Ave there are many other crossings yet to be treated along the line. We need a commitment to improve the noise emissions disruption to residents by both political parties. 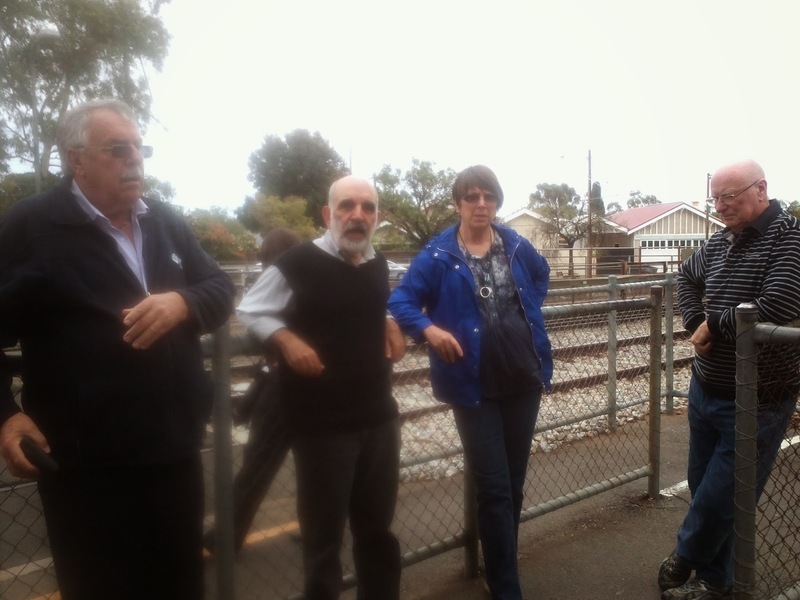 Also discussed was the ongoing noise from the freight trains, the Belair trains and the Seaford trains (especially the sound and penetration of this sound of their horn noise). The risks from diesel and other carcinogens was also discussed. What is required is further investigation into the effects that the ongoing noise and pollutants is having on the general health of Unley residents. 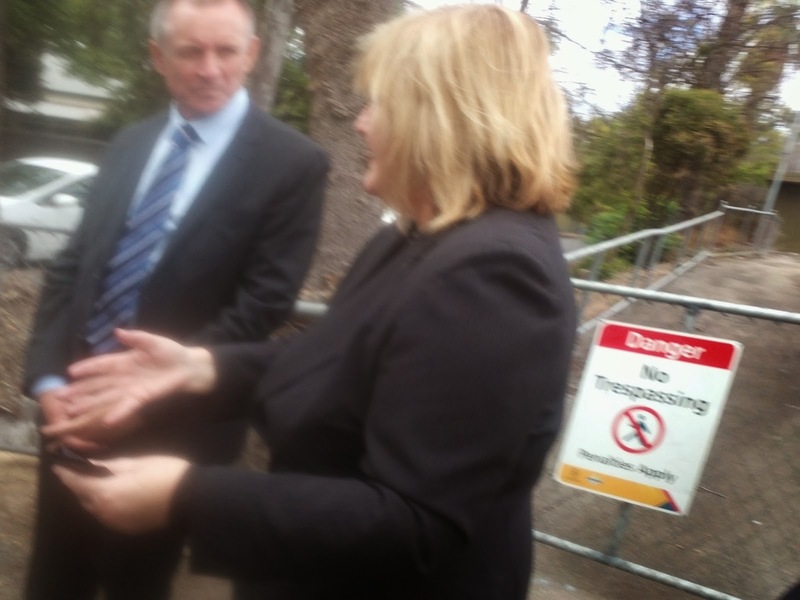 Also required should be an investigation and debrief of the entire rail project as it has affected residents. You're never too old to learn, check out this link to computer courses avaialble at the Goodwood and Unley Libraries starting soon. 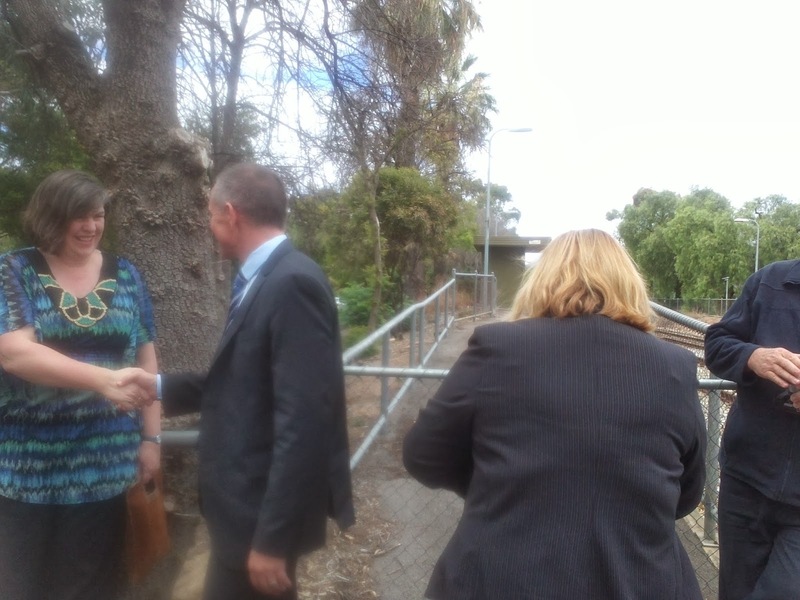 There have been some press about the safety of the Mike Turtur Bikeway especially where it joins King William Rd but also about a need for removal of vegetation that encroaches on the pathway. Budget bids from Councillors are due in this week, at this stage we have only put in one and that is for additional screening along Arundel Ave. Residents of Cromer Pde have been invited to attend a meeting at Clarence Park Community Centre at 6pm on the 20th March to discuss final landscaping plans for their street. Aware of the impact these works would have, DPTI and Council have worked collaboratively on a Community Wildlife Project to provide nesting boxes through neighbouring streets, schools and private properties adjacent the rail corridor. Fundamentally the aim of the project was to provide alternative nesting sites for fauna that may have been displaced by the loss of vegetation, specifically trees from the rail projects. DPTI worked with a Zoologist (James Smith) who teamed with schools within the area to build nesting boxes. These boxes have been placed in trees near the rail corridor (Goodwood Primary School, Forestville Reserve, Black Forest School, Devon Street & Railway Terrace, Lyons Parade, Cromer Parade and Goodwood Oval). The Council has supported this project and agreed to take on board the longer term maintenance of these boxes. In total 42 fauna boxes are located in trees near the corridor as part of this project. Council already has 52 boxes located throughout the rest of the City (predominately to the east of the City). With the additional 42 provided from this project we are now close to 100 fauna boxes throughout the City. This si one good news story from the project, the nesting boxes look lovely and, hopefully, we will get a report soon to say who has been making their home in them. An interesting article in the paper this morning on an innovation from Onkaparinga Council. They will be sending their recyclables to a new facility for recycling. SKM Recycling will take all of the recyclables and pay the Council over $1,000,000 each year for it. This will be additional to monies saved on dumping. This is the sort of ideas Unley will be looking for when putting out to tender and finalising it's new rubbish collection services. The City of Unley is developing Improvement Plans for both Goodwood Oval and the Millswood Sporting Complex. As a resident who may use these facilities, you are invited to provide information and make comments to assist us with the planning. These facilities are important public recreational spaces, and are also home to a number of sporting and community clubs. Considering the needs of the community will assist Council to develop Improvement Plans to identify future directions for enhancing both complexes. To participate in the planning you can complete the attached Feedback Form or, if you would prefer to give your comments online, please go to the Your Say Unley section of www.unley.sa.gov.au. Please return the form to Council in the reply paid envelope provided or respond online by 5.00pm, Friday 7 March 2014. We also invite you to join us at Community Information Sessions, which will be held at each sports complex in March 2014 to present initial directions and Concept Plan ideas. Staff from the City of Unley will be on hand to take your feedback and answer any questions that you might have about the initial Concept Plans and the study. You are welcome to attend one or both Community Information Sessions. If you have any questions or require further details please contact Council’s Sport & Recreation Planner on 8372 5111. We look forward to your involvement in planning for these important facilities. As the rail works finally come to a conclusion after what seems like very much longer than was promised (that's because it's nearly 5 months longer) the final DPTI updates are being distributed. 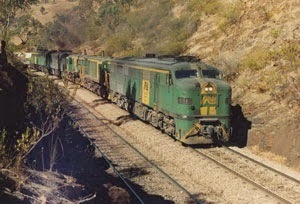 The latest can be found at Rail Revitalisation Community Update. Electric trains have begun trials but the date for first use is yet to be announced. 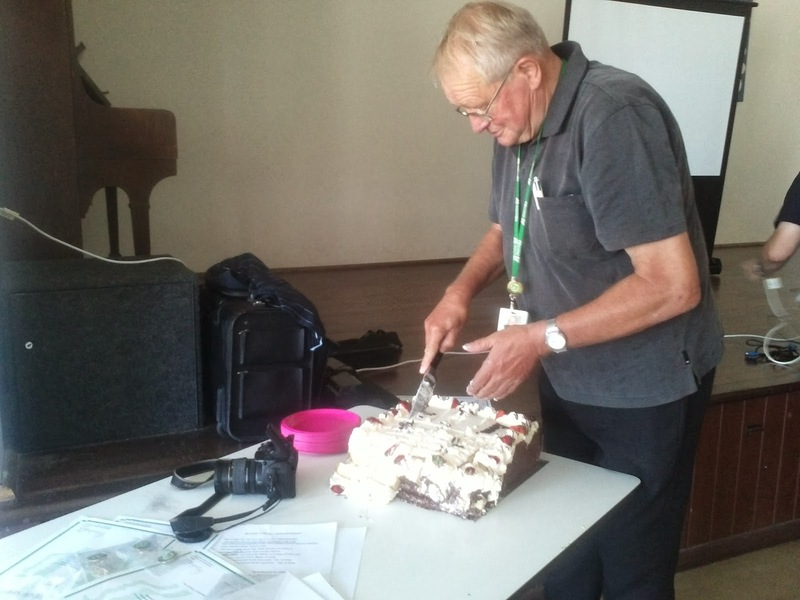 The Brow Hill Creek connection (just south of Victoria St) will be finished soon, after this the path can be completed that joins Victoria St to Cranbrook Ave.
A great get together at the Unley Community Centre, especially for over 50's. The Swimming Centre had a successful start to the Free Friday trial, which began on the 7th of February. An impressive 348 patrons attended the centre after 5pm. This included 194 Adults, 144 children and 10 students or concession card holders. A targeted survey regarding the trial was conducted with 94 surveys being completed and returned to the centre. The 9th annual MS Mighty Swim was conducted on the weekend. A record number of 430 swimmers registered and competed in this year’s event. A total of 1313.7 km was swum over the 24 hour period by participants, despite a 20 minute thunderstorm interruption early on Sunday morning. To date the event has raised just over $90,000, with $74,000 of this coming in as direct donations to the relay. This figure will continue to grow as pledges and donations continue to come in. Donations can be made up until March 31st, 2014. This years event celebrates a very special milestone with total funds raised now eclipsing half a million dollars, to stand at $564,000 (and still growing). This is something the MS Society and the City of Unley should be very proud of. Yesterday's paper had an interesting story on trees. Much of it relevant to our own area. As we gradually cover the surfaces in our yards with solid materials the run off from our yards and houses bypasses the street trees as it enters the stormwater system. As we know trees are essential to urban environments, not only did they provide shade but they also acted like an evaporative airconditioner when the city baked in recent heatwaves. The makes the ambient temperature a few degrees lower in well treed streets. You notice this when out walking even on a relatively mild day. The answer is for Council's to provide suitable species and residents to ensure that their front garden is watered so the tees can survive. I drove down one street yesterday with an avenue of cedars (in Burnside). At least 20% of the trees had recent storm damage. I also couldn't help but laugh when I read the letter to the editor where the author complained about Council doing nothing when the tree was growing in his own front yard!! The information below is about parking offences that can occur in Unley. While most people will obey the law to avoid fines there will always be a time when a time when you didn't see the yellow line, were in a hurry or couldn't get back to the car within the prescribed limit. This clearly explains the rules, and what to do if you get a fine. Of course it's easier to just pay it but many people don't or aren't able to and then do nothing rather than seeking alternate means of payment. Continuing Offences, Parking Signs, Residential Parking Permit/Exemptions, Vehicles not moved for 24 hours. Once a vehicle has been reported for an offence and remains parked for a further period, a 'Further Offence' Notice can be issued. If the area is subject to a time limit less than one hour, for each period that the vehicle remains, a 'Further Offence' Notice may be issued. eg. 15 minute parking zone, further offences can be issued every 15 minutes after the initial Infringement Notice. 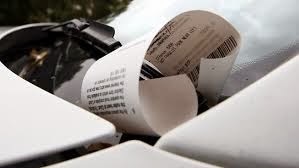 For all other parking infringements, a Further Offence Notice may be issued for each hour that the vehicle remains parked after the initial Infringement Notice. 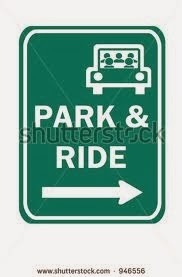 Parking control signs have been introduced Australia wide, which must comply with the Australian Standard. These signs have symbols instead of words, and the larger letters and numbers indicate the times and days parking limits apply. These signs are designed to be easily read while a vehicle is moving. It is important that signs are read EACH time that your vehicle is parked. Not all parking restrictions are the same in all areas. They may also change due to special events and to accommodate changing needs to the area. What if I didn't read or didn't understand the signs? It is your responsibility as the driver of a vehicle to read all road and kerbside signage that you may encounter, and to comply with the directions or requirements indicated by the signs and/or road markings. All road and kerbside signage, and road markings within the City comply with Australian Standards as prescribed in the Australian Road Rules. If you do not understand the information provided on the signs/or by the road markings, then you should seek another area in which to park. Infringements may not be cancelled if you did not read, understand or you misinterpreted the information on the signs/or the road markings. Where parking bays are marked in car parks or on the road surface, parking is only permitted completely within these bays. Certain areas have mandatory restrictions and must be kept permanently clear of stationary vehicles. No signage is necessary for these areas; however, solid yellow 'No Stopping' road markings may be placed on the road to remind the public (e.g. at traffic lights). These have the same effect as if the area had signs stating 'No Stopping Zone'. Where signs are present to indicate a restriction or requirement, they take precedence over any road markings that may be present. Council may tow a vehicle if a complaint is received and it is established that it has not moved for 24 hours. Vehicles will only be impounded as a last resort after all avenues to locate the owner and have them remove the vehicle have been exhausted. If you have left your vehicle parked illegally and the City of Unley or police believe it is a danger to other road users, is likely to cause traffic congestion or obstruct access to a property, they can arrange for the vehicle to be towed. Vehicles cannot be towed away simply because they are causing an inconvenience to other road users. If you wish to report a vehicle that may have been abandoned, or if you believe your vehicle has been removed, please contact the City of Unley Council office on 8372 5111. People now have more flexible options to pay their overdue fines, due to changes to the management of fines inSouth Australia. A new unit – the Fines Enforcement and Recovery Unit– has been established within the Attorney-General’s Department to recover overdue fine amounts owed to state and local government bodies. These functions moved from the Courts Administration Authority to the new Fines Unit on 3 February 2014. It’s now easier for people to manage overdue fines, with more options available. Overdue fines can be paid online and over the phone, and in person at any Australia Post Office or Service SA Customer Service Centre. People can apply for a Payment Arrangement to spread their payment over a longer period, even before a fine is sent to the Fines Unit for enforcement). Prior to February 2014, an ‘application for relief’ had to be submitted to gain any kind of payment arrangement. For those who evade paying their fines, escalating enforcement measures will be applied to recover the amounts owed. These enforcements include suspending driver’s licences, clamping and impounding vehicles, seizing and selling assets, and making deductions directly from a person’s bank account or salary. It is my understanding that our local member, Steph Key, has had some success getting the pedestrian warnings turned down at Victoria St and East Ave (although the latter might be yet to be done, it has been approved). 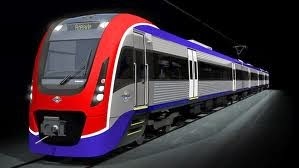 Additionally the new trains will also have a horn with a reduced volume. Thanks Steph. The above link will take you to an article about the potential redevelopment of Unley Oval. While the debate last week was conducted in an open forum the report that was being discussed was marked as Confidential. This makes it difficult to refer to the reports and items in them and not divulge confidential information. What is true is that despite two reports at some cost (but not the amount reported) Council have failed to make a decision on any way forward. Some of this has more to do with the fact that the idea was ambitiously put forward and talked up by the Mayor when it never really had the full support of many councillors. Council will be holding a workshop next week and, hopefully, a motion can be devised that allows for some improvements. However, the funding sources also need to be identified and most of any money required should not be from Council. If Council's actions and planning allow for external funding and is spade ready when grants are available then none of the money already spent will have been wasted. wrong. Just get on with it!! The above argument in today's paper just about had me gagging on my weetbix. After taking the time to look at the comments on the website seems like most people are of my opinion. There are still, many that believe we are over governed and local government is the easy scapegoat for the level to get rid of when, in my opinion, if we really had to do this why not get rid of state government. Considering the requests that I have worked on this last week include footpath repair, bike way maintenance, stray cats, rubbish removal and street trees. I wonder if these matters would ever be resolved if we did not have local government. So keep arguing to get rid of local government and you're saying I like bins left in the street, my footpath is OK and will never need repair and when the street dies I won't care. As well I'm happy to sweep my own footpath and never use the library, the swimming pool or a community centre. I like stray dogs and dog poo can just be stepped over. Given the amount Councillors are paid (about $15/hour) I can't see how anyone could describe this as too much. But back to the point that Mayor Clyne made; why is this unworkable? Why did previous governments make it illegal to hold the jobs of Mayor and MP? They did this because the potential conflict of interest was simply too great. Thinking of Unley, which encompasses 2 state electorates, do we need less MPs or more Mayors? Not only would this lead to even more MPs but they get a heck of a lot more money than the mayor who gets $60,000/year; I reckon David Pisoni is earning just a little more than this! I can't see the political parties not seeing this as an opportunity for Council elections being politicized. One of the great things about Unley Council, and probably the vast majority in South Australia, is that members are not elected on their political persuasion and are free to vote on each and every matter as they see fit. Prospect stallholder and local Goodwood Road trader, Jeremy from Boulangerie 113 now has a pop-up stall at the Showground Market. He will only be at the Showground for a limited time - his divine award winning croissants and danishes are not to be missed! White and red table grapes and currants are here! New season gala apples are in, with more varieties to come in the next few weeks. A short release apple cider is now available from Paracombe Premium Perry. It is caper harvest time, so Australian Capers will be having a month off. They will be back on the first Sunday in March. We say farewell to Therese and Salta In Bocca. 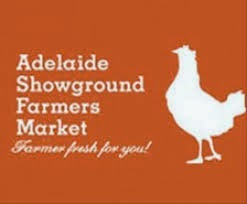 Due to family and business commitments Therese will be finishing at the market as a fulltime stallholder. However, she is keen to join us again during key festive times of the year. No doubt Therese will pop in when she can. Alternatively you can visit her Rostrevor shop and stock up on her Salta In Bocca goodies – 53b Reynell Road, Rostrevor SA 5073 Phone/Fax: 08 8365 0637.